Inspection capabilities are an important part of BPC's long-term survival in the industry and for the past 26 years, BPC has provided unsurpassed inspection capabilities. Product inspection capabilities utilizing ultrasonic and eddy-current technologies are used to assure both surface and internal quality requirements. Click HERE for our Parts Inspection flyer! 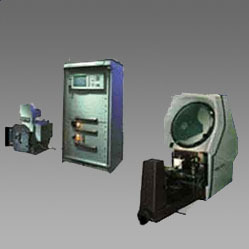 and magnetic particle inspection designed to detect various defects in a formed part and/or short bar. grade verification and dimensional inspection. 1. Design specific inspection criteria utilizing specialized equipment. 2. Develop testing and inspection procedures to customer specific requirements. to Level I & Level II in accordance to SNT-TC-1A, 1992 edition.